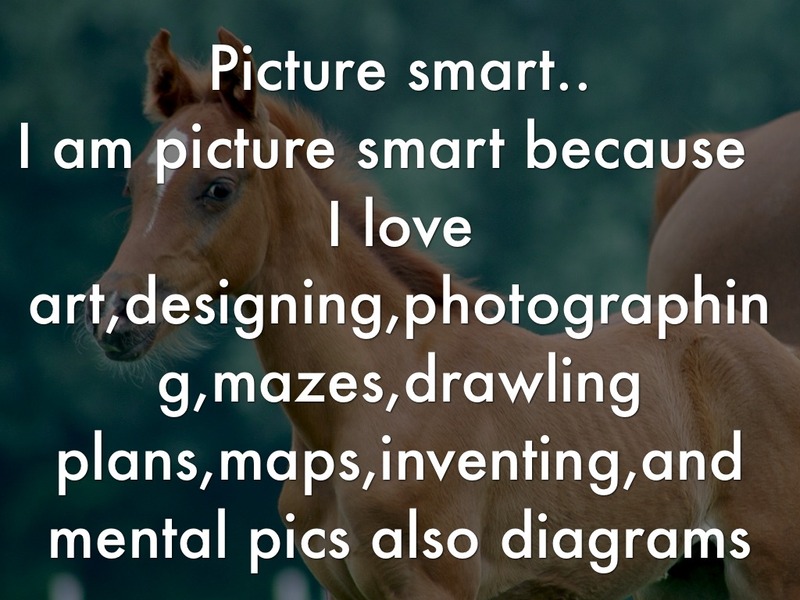 I love animals a lot by the. 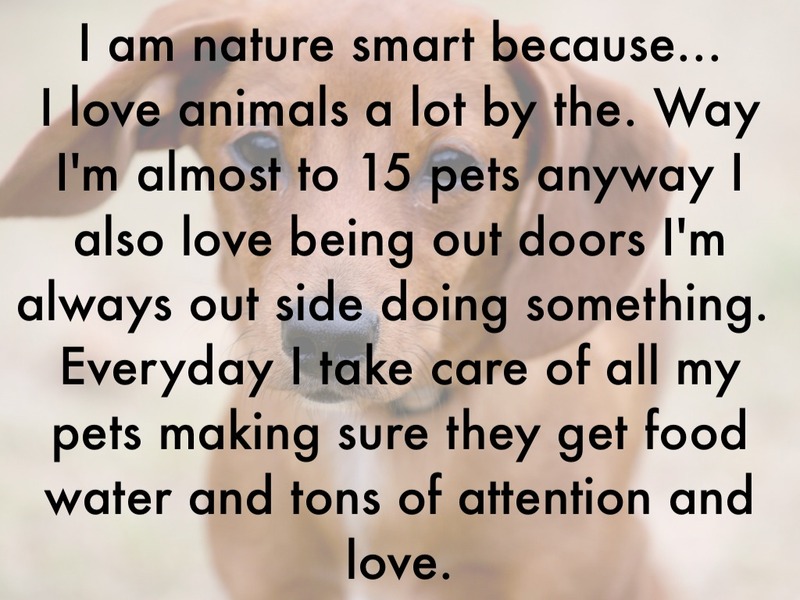 Way I'm almost to 15 pets anyway I also love being out doors I'm always out side doing something. 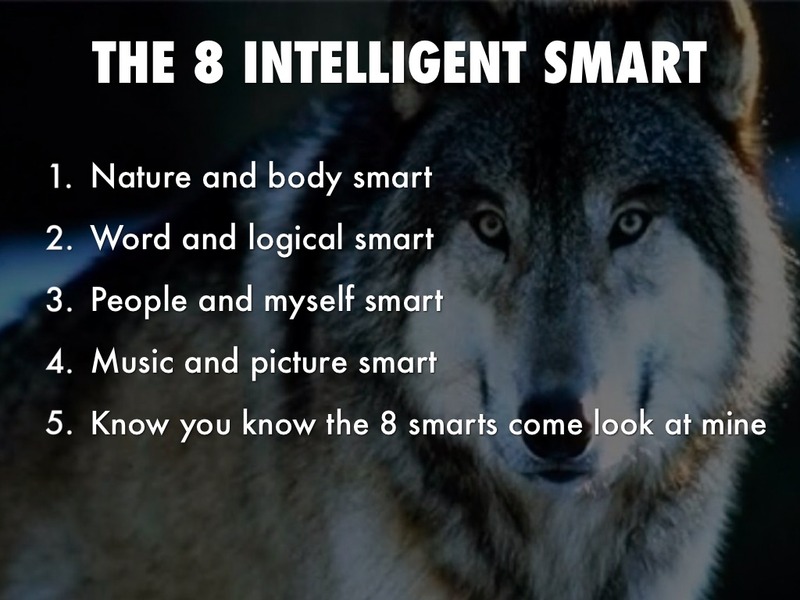 Everyday I take care of all my pets making sure they get food water and tons of attention and love. 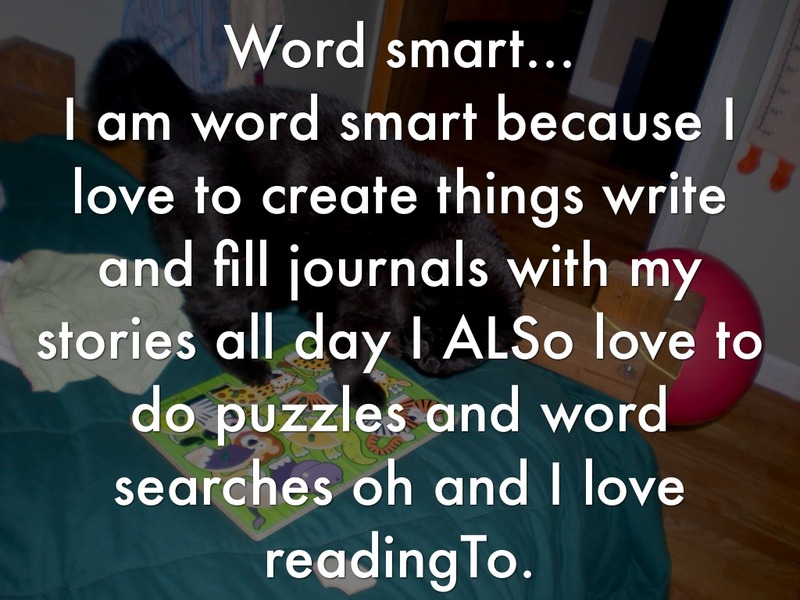 I am word smart because I love to create things write and fill journals with my stories all day I ALSo love to do puzzles and word searches oh and I love readingTo. 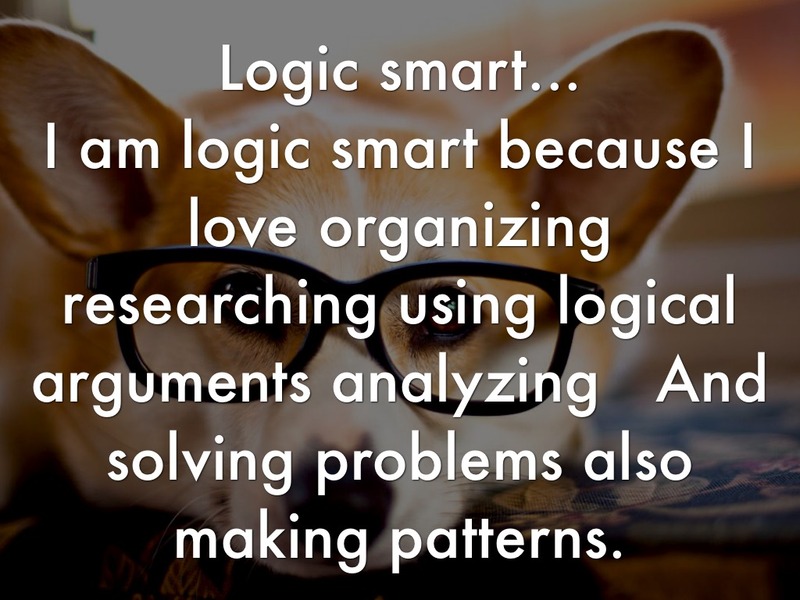 I am logic smart because I love organizing researching using logical arguments analyzing And solving problems also making patterns. 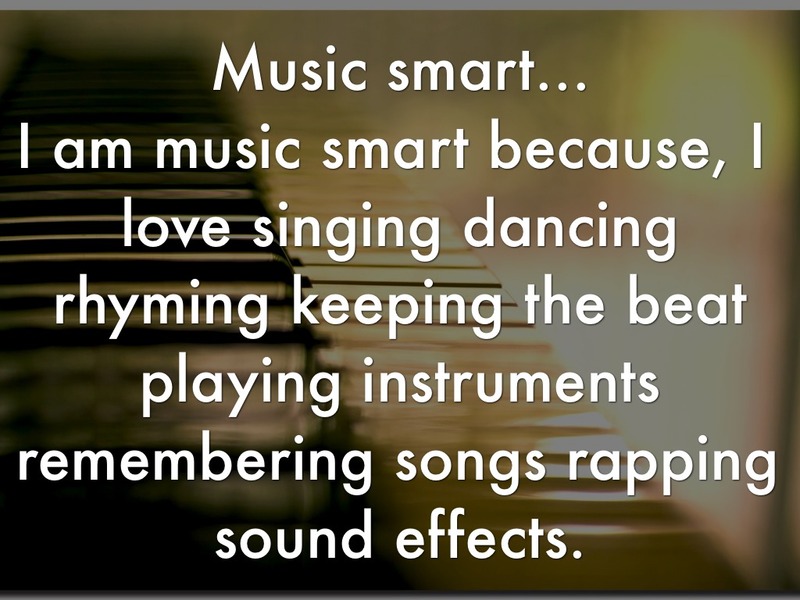 I am music smart because, I love singing dancing rhyming keeping the beat playing instruments remembering songs rapping sound effects.